Visit Williams Park and enjoy the outdoors! 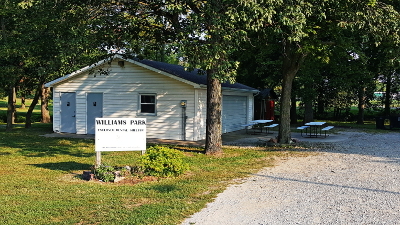 The park includes a walking path, playground, ball field, two covered pavilions and picnic tables, as well as a newly renovated shelter building available to rent for gatherings. The shelter seats up to 40 people inside; doors can be opened to allow for larger parties. Electrical outlets and air conditioning available. Cost of the rental is $15.00/hour, $50.00 for four hours or rent it for the entire day for $100.00. Contact City Hall at 402-269-2173 or email info@syracusene.com for additional information or to make a reservation.